Mary K Gaillard (left) during the presentation of her book, discussing the role of women in the fundamental physics field with Valerie Gibson. 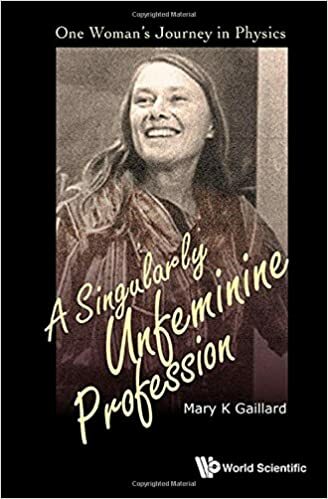 Mary K Gaillard began her career at the CNRS institute in France in the 1960’s, at a time when women physicists in research institutes could be counted on the fingers of one hand. She first came to CERN with her husband in the late 1960’s and stayed as a scientific visitor for many years, while still employed by the CNRS. In 1981, she joined the physics faculty at the University of California at Berkeley (UCB), becoming the first woman to hold a tenured position in the faculty. Gaillard not only made major contributions to the Standard Model of particle physics, such as the prediction of the mass of the charm quark and to the famous paper coining the term penguin diagram (link is external), she was also the first to address gender imbalance at CERN: for International Women’s Day in 1980, she published a report on women in scientific careers at CERN, an essay surveying the way in which women in scientific careers at CERN viewed their professional situation. This report was an important resource for a working group set up in the 1990s to study the situation of women at CERN. On this group’s recommendation, CERN established its Equal Opportunities programme, which has now grown into today’s Diversity Office. Closing the circle, the Diversity Office, together with the CERN Library and the Theory Department invited Gaillard to deliver a Theory seminar on quantum effects on supergravity theories, and to give some insight into the genesis of her book and her journey in physics. “Her frank autobiography, A Singularly Unfeminine Profession, is an honest, revelatory account of her many discoveries, made as she battled gender bias and faced the demands of raising three children,” said Valerie Gibson, Head of High Energy Physics and Fellow of Trinity College Cambridge in her review of the book in Nature . Professor Gibson complemented Gaillard’s presentation with her own experiences and views on the challenges facing women making a career in physics. The conclusion of both women is that the situation has improved at CERN, as well as in academia in general, but there is still a long way to go, especially when it comes to women in senior positions and leadership roles. From one solitary female member of the faculty at UCB when Gaillard took up her post in 1981, the number has risen to five. Meanwhile, the number of young women completing physics PhD programmes climbed though the 60s, 70s and 80s to around 16%, where it has since levelled off. Gender stereotypes are all around us, and as Gaillard points out, “There seems to be a problem, starting with very young children.” As with any problem, the first step towards a solution is acknowledging that the problem exists, and Mary K Gaillard’s presentation served as a timely reminder that while progress has been made, there’s still much to do in particle physics, as in many areas of society. The book can be borrowed from the CERN library (link is external), bought at the CERN library (bldg. 52, 1st floor) or accessed online on the publisher’s website (World Scientific (link is external)) (free of charge for anyone with a CERN account). Watch the recording of the book presentation here. Over the past decade physicists have explored new corners of our world, and in doing so have answered some of the biggest questions of the past century. When researchers discovered the Higgs boson in 2012, it was a huge moment of achievement. It showed theorists had been right to look towards the Standard Model for answers about our Universe. But then the particle acted just like the theorist’s said it would, it obeyed every rule they predicted. If it had acted just slightly differently it would have raised many questions about the theory, and our universe. Instead, it raised few questions and gave no new clues about to where to look next. In other words, the theorists had done too good a job. “We are struggling to find clear indications that can point us in the right direction. Some people see in this state of crisis a source of frustration. I see a source of excitement because new ideas have always thrived in moments of crisis.” – Gian Giudice, head of the Theory Department at CERN. Before these discoveries, physicists were standing on the edge of a metaphorical flat Earth, suspecting it was round but not knowing for sure. Finding both the Higgs boson, and evidence of gravitational waves has brought scientists closer than ever to understanding two of the great theories of our time – the Standard Model and the theory of relativity. Now the future of theoretical physics is at a critical point – they proved their own theories, so what is there to do now? In an earlier article in this series [link to series is below], we spoke about how experimental physicists and theoretical physicists must work together. Their symbiotic relationship – with theorists telling experimentalists where to look, and experimentalists asking theorists for explanations of unusual findings – is necessary, if we are to keep making discoveries. Just four years ago, in 2012, physicists still held a genuine uncertainty about whether the lynchpin of the Standard Model, the Higgs boson existed at all. Now, there’s much less uncertainty. “We are still in an uncertain period, previously we were uncertain as to how the Standard Model could be completed. Now we know it is pretty much complete so we can focus on the questions beyond it, dark matter, the future of the universe, the beginning of the universe, little things like that,” says John Ellis, a theoretical physicist from Kings College, London who began working at CERN since 1973. With the discovery of the Higgs, there’s been a shift in this relationship, with theoreticians not necessarily leading the way. Instead, experiments look for data to try and give more evidence to the already proposed theories, and if something new is thrown up theorists scramble to explain and make sense of it. At the end of last year, both the ATLAS and CMS experiments at CERN found their mushroom, an intriguing, albeit very small, bump in the data. This little, unexpected bump could be the door to a whole host of new physics, because it could be a new particle. After the discovery of the Higgs most of the holes in the Standard Model had been sewn up, but many physicists were optimistic about finding new anomalies. While the bump is too small for physicists to announce it conclusively, there’s been hundreds of papers published by theoretical physicists as they leap to say what it might be. “Taking unexplained data, trying to fit it to your ideas about the universe, revising your ideas once you get more data, and on and on until you have unravelled the story of the universe – that’s the spirit of theoretical physics,” expresses Giudice. But we’ll only know whether it’s something worthwhile with the start of the LHC this month, May 2016, when experimental physicists can start to take even more data and conclude what it is. This unusual period of quiet in the world of theoretical physics means students studying physics might be more likely to go into experimental physics, where the major discoveries are seen as happening more often, and where young physicists have a chance to be the first to a discovery. Speaking to the Summer Students at CERN, some of whom hope to become theoretical physicists, there is the feeling that this period of uncertainty makes following theory a luxury, one that young physicists, who need to have original ideas and publish lots of papers to get ahead, can’t afford. And Gian Giudice agrees –while the field’s current uncertainty makes it more difficult for young people to make breakthroughs, it’s not the promise of glory that encourages people to follow the theory path, but just a simple passion in why our universe is the way it is. Giudice, who took on the role of leading the theory department in January 2016 is optimistic that the turbulence the field currently faces makes it one of the most exciting times to become a theoretical physicist. “It has often been said that it is difficult to make predictions; especially about the future. It couldn’t be more true today in particle physics. This is what makes the present so exciting. Looking back in the history of physics you’ll see that moments of crisis and confusion were invariably followed by great revolutionary ideas. I hope it’s about to happen again,” smiles Giudice. 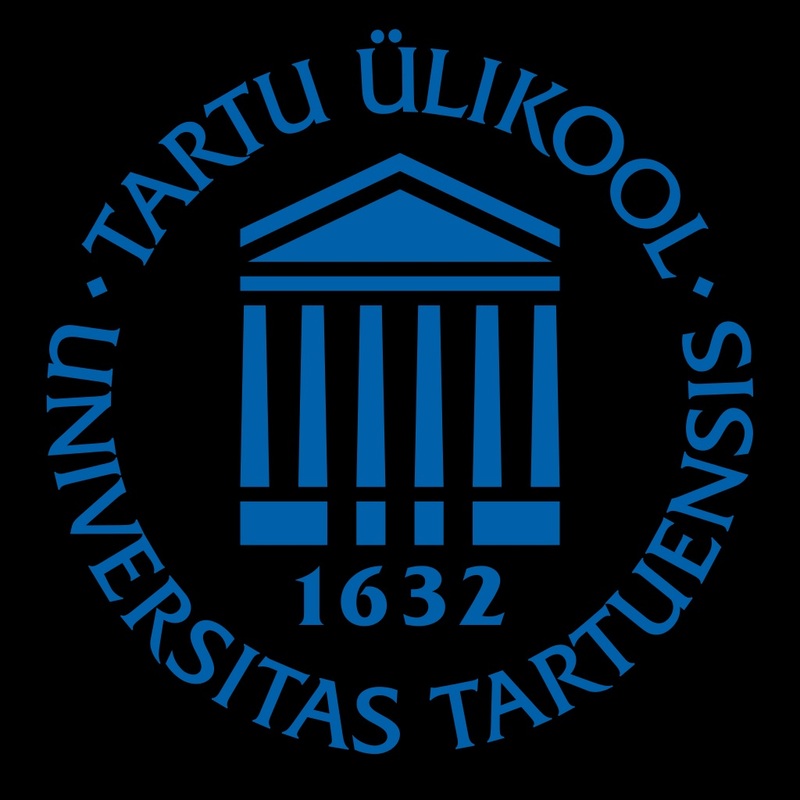 The delegation of the International Relations sector of the European Organisation for Nuclear Research, known as CERN, will visit Estonia on 2 and 3 May to get information about the circle of industry, research and decision makers in Estonia and establish direct contact for possible accession talks. In order for Estonian enterprises to be internationally more competitive, they need to produce more high-technology products with high added value. High added value means bigger salaries, bigger investments and bigger profit. According to Minister of Entrepreneurship Liisa Oviir, one way to achieve this, is to increase the so called institutional export to research centres, such as the European Space Agency (ESA) or CERN, which are known for their demanding and scientific technologically innovative solution orders. Last year, Estonia became a member of the ESA thanks to which our enterprises have received orders to develop high-technology products and services. Similarly to the ESA, CERN membership would also significantly increase the possibilities for Estonian enterprises to provide quality high-technology products and services all around the world. “Establishing closer high-level contacts is one prerequisite to better understand potential incomes and costs in a longer perspective. ESA has been a very positive example so far. The next step is to see what the options are to benefit from CERN in the longer perspective,” said Oviir. 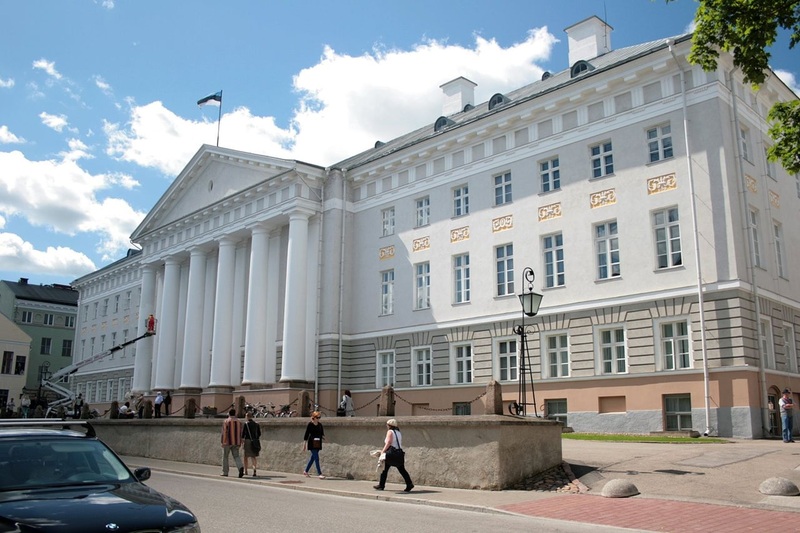 “Estonia’s research activity in CERN has gone upwards in recent years. Long-term research in high energy physics has been improved with cooperation to UT research groups in modelling the materials required for new accelerators and contributing to the development of high speed scintillators in medical technology. Participation in CERN programmes promotes the cooperation between Estonian enterprises and researchers and increases their capacity in research and development and innovation,” explained UT Vice Rector for Research Marco Kirm. CERN officials will meet Minister of Entrepreneurship Liisa Oviir, employees of the Ministry of Education and Research, visit enterprises in Tallinn and Sillamäe, the University of Tartu, Tallinn University of Technology and the National Institute of Chemical Physics and Biophysics. Over the next five years, key events shaping the future of particle physics will unfold. We will have results from the second run of the Large Hadron Collider (LHC), and from other particle and astroparticle physics projects around the world. These will help us to chart the future scientific road map for our field. The international collaboration that is forming around the US neutrino programme will crystallise, bringing a new dimension to global collaboration in particle physics. And initiatives to host major high-energy colliders in Asia should become clear. All of this will play a role in shaping the next round of the European Strategy for Particle Physics, which will in turn shape the future of our field in Europe and at CERN. CERN’s top priority for the next five years is ensuring a successful LHC Run 2, and securing the financial and technical development and readiness of the High-Luminosity LHC project. This does not mean that CERN should compromise its scientific diversity. Quite the opposite: our diversity underpins our strength. CERN’s programme today is vibrant, with unique facilities such as the Antiproton Decelerator and ISOLDE, and experiments studying topics ranging from kaons to axions. This is vital to our intellectual life, and it is a programme that will evolve and develop as physics needs dictate. Furthermore, with the new neutrino platform, CERN is contributing to projects hosted outside of Europe, notably the exciting neutrino programme underway at Fermilab. If CERN is to retain its position as a focal point for accelerator-based physics in the decades to come, we must continue to play a leading role in global efforts to develop technologies to serve a range of possible physics scenarios. These include R&D on superconducting high-field magnets, high-gradient, high-efficiency accelerating structures, and novel acceleration technologies. In this context, AWAKE is a unique project using CERN’s high-energy, high-intensity proton beams to investigate the potential of proton-driven plasma wakefield acceleration for the very-long-term future. In parallel, CERN is playing a leading role in international design studies for future high-energy colliders that could succeed the LHC in the medium-to-long term. Circular options, with colliding electron–positron and proton–proton beams, are covered by the Future Circular Collider (FCC) study, while the Compact Linear Collider (CLIC) study offers potential technology for a linear electron–positron option reaching the multi-TeV range. To ensure a future programme that is compelling, and scientifically diverse, we are putting in place a study group that will investigate future opportunities other than high-energy colliders, making full use of the unique capabilities of CERN’s rich accelerator complex, while being complementary to other endeavours around the world. Along with the developments I mention above, these studies will also provide valuable input into the next update of the European Strategy, towards the end of this decade. 2015 was a tough year for CERN’s accelerator sector. Besides assuring delivery of beam to the extensive non-LHC facilities such as the AD, ISOLDE, nTOF and the North Area, many teams also had to work hard to bring the LHC back into business after the far-reaching efforts of the long shutdown. At the end of 2014 and start of 2015, the LHC was cooled down sector by sector and all magnet circuits were put through a campaign of powering tests to fully re-qualify everything. The six-month-long programme of rigorous tests involved the quench-protection system, power converters, energy extraction, UPS, interlocks, electrical quality assurance and magnet-quench behaviour. The powering-test phase eventually left all magnetic circuits fully qualified for 6.5 TeV. Some understandable delay was incurred during this period and three things can be highlighted. First was the decision to perform in situ tests of the consolidated splices – the so called Copper Stabilizer Continuity Measurement (CSCM) campaign. These were a success and provided confirmation of the quality work done during the shutdown. Second, dipole-quench re-training took some time – in particular, the dipoles of sector 45 proved a little recalcitrant and reached the target 11,080 A after some 51 training quenches. Third, after an impressive team effort co-ordinated by the machine-protection team to conceive, prototype, test and deploy the system, a small piece of metallic debris that was causing an earth fault in a dipole in sector 34 was successfully burnt away on the afternoon of Tuesday 31 March. First beam 2015 went around the LHC on Easter Sunday, 5 April. Initial commissioning delivered first beam at 6.5 TeV after five days and first “stable beams” after two months of careful set up and validation. Two scrubbing runs delivered good beam conditions for around 1500 bunches per beam, after a concerted campaign to re-condition the beam vacuum. However, the electron cloud, anticipated to be more of a problem with the nominal 25 ns bunch-spacing beam, was still significant at the end of the scrubbing campaign. The initial 50 ns and 25 ns intensity ramp-up phase was tough going and had to contend with a number of issues, including earth faults, unidentified falling objects (UFOs), an unidentified aperture restriction in a main dipole, and radiation affecting specific electronic components in the tunnel. Although operating the machine in these conditions was challenging, the teams succeeded in colliding beams with 460 bunches and delivered some luminosity to the experiments, albeit with poor efficiency. The second phase of the ramp-up following the technical stop at the start of September was dominated by the electron cloud and the heat load that it generates in the beam screens of the magnets in the cold sectors. The challenge was then for cryogenics, which had to wrestle with transients and operation close to the cooling-power limits. The ramp-up in number of bunches was consequently slow but steady, culminating in a final figure for the year of 2244 bunches per beam. Importantly, the electron cloud generated during physics runs at 6.5 TeV serves to slowly condition the surface of the beam screen and so reduce the heat load at a given intensity. As time passed, this effect opened up a margin for the use of more bunches. Cryogenics operations were therefore kept close to the acceptable maximum heat load, and at the same time in the most effective scrubbing regime. The overall machine availability is a critical factor in integrated-luminosity delivery, and remained respectable with around 32% of the scheduled time spent in stable beams during the final period of proton–proton physics from September to November. By the end of the 2015 proton run, 2244 bunches per beam were giving peak luminosities of 5.2 × 1033 cm–2s–1 in ATLAS and CMS, with both being delivered an integrated luminosity of around 4 fb–1 for the year. Levelled luminosity of 3 × 1032 cm–2s–1 in LHCb and 5 × 1030 cm–2s–1 in ALICE was provided throughout the run. Also of note were dedicated runs at high β* for TOTEM and ALFA. These provided important data on elastic and diffractive scattering at 6.5 TeV, and interestingly a first test of the CMS-TOTEM Precision Proton Spectrometer (CT-PPS), which aims to probe double-pomeron exchange. As is now traditional, the final four weeks of operations in 2015 were devoted to the heavy-ion programme. To make things more challenging, it was decided to include a five-day proton–proton reference run in this period. The proton–proton run was performed at a centre-of-mass energy of 5.02 TeV, giving the same nucleon–nucleon collision energy as that of both the following lead–lead run and the proton–lead run that took place at the start of 2013. Both the proton reference run and ion run demanded re-set-up and validation of the machine at new energies. Despite the time pressure, both runs went well and were counted a success. Performance with ions is strongly dependent on the beam from the injectors (source, Linac3, LEIR, PS and SPS), and extensive preparation allowed the delivery of good intensities, which open the way for delivery of a levelled design luminosity of 1 × 1027 cm–2s–1 to ALICE and more than 3 × 1027 cm–2s–1 to ATLAS and CMS. For the first time in an ion–ion run, LHCb also took data following participation in the proton–lead run. Dedicated ion machine development included crystal collimation and quench-level tests, the latter providing important input to future ion operation in the HL-LHC era. The travails of 2015 have opened the way for a full production run in 2016. Following initial commissioning, a short scrubbing run should re-establish the electron cloud conditions of 2015, allowing operation with 2000 bunches and more. This figure can then be incrementally increased to the nominal 2700 as conditioning progresses. Following extensive machine development campaigns in 2015, the β* will be reduced to 50 cm for the 2016 run. Nominal bunch intensity and emittance will bring the design peak luminosity of 1 × 1034 cm–2s–1 within reach. Reasonable machine availability and around 150 days of 13 TeV proton–proton physics should allow the 23 fb–1 total delivered to ATLAS and CMS in 2012 to be exceeded. Results of the analyses by individual experiments (coloured) and both experiments together (black), showing the improvement in precision resulting from the combination of results. 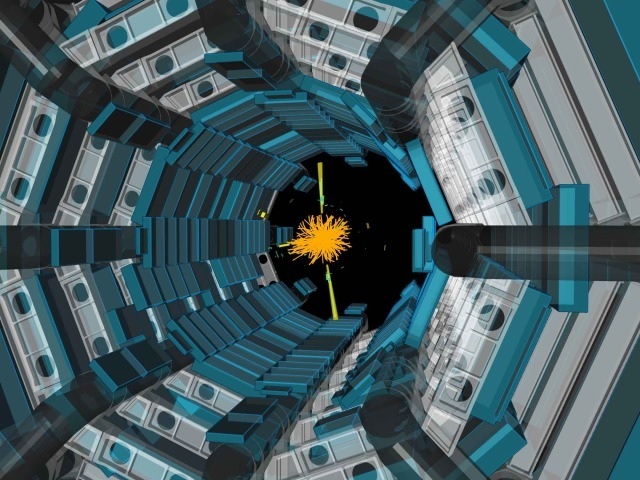 Three years after the announcement of the discovery of a new particle, the so-called Higgs boson, the ATLAS and CMS Collaborations present for the first time combined measurements of many of its properties, at the third annual Large Hadron Collider Physics Conference (LHCP 2015). By combining their analyses of the data collected in 2011 and 2012, ATLAS and CMS draw the sharpest picture yet of this novel boson. The new results provide in particular the best precision on its production and decay and on how it interacts with other particles. All of the measured properties are in agreement with the predictions of the Standard Model and will become the reference for new analyses in the coming months, enabling the search for new physics phenomena. This follows the best measurement of the mass of the Higgs boson, published in May 2015 (link is external) after a combined analysis by the two collaborations. “The Higgs boson is a fantastic new tool to test the Standard Model of particle physics and study the Brout-Englert-Higgs mechanism that gives mass to elementary particles,” said CERN* Director General Rolf Heuer. There are different ways to produce a Higgs boson, and different ways for a Higgs boson to decay to other particles. For example, according to the Standard Model, the theory that describes best forces and particles, when a Higgs boson is produced, it should decay immediately in about 58% of cases into a bottom quark and a bottom antiquark. By combining their results, ATLAS and CMS determined with the best precision to date the rates of the most common decays. Such precision measurements of decay rates are crucially important as they are directly linked to the strength of the interaction of the Higgs particle with other elementary particles, as well as to their masses. Therefore, the study of its decays is essential in determining the nature of the discovered boson. Any deviation in the measured rates compared to those predicted by the Standard Model would bring into question the Brout-Englert-Higgs mechanism and possibly open the door to new physics beyond the Standard Model. “Combining results from two large experiments was a real challenge as such analysis involves over 4200 parameters that represent systematic uncertainties,” said CMS Spokesperson Tiziano Camporesi. “With such a result and the flow of new data at the new energy level at the LHC, we are in a good position to look at the Higgs boson from every possible angle”. CERN, the European Organization for Nuclear Research, is the world’s leading laboratory for particle physics. It has its headquarters in Geneva. At present, its member states are Austria, Belgium, Bulgaria, the Czech Republic, Denmark, Finland, France, Germany, Greece, Hungary, Israel, Italy, the Netherlands, Norway, Poland, Portugal, Slovakia, Spain, Sweden, Switzerland and the United Kingdom. Romania is a Candidate for Accession. Serbia is an Associate Member in the pre-stage to Membership. Pakistan and Turkey are Associate Members. India, Japan, the Russian Federation, the United States of America, the European Union, JINR and UNESCO have observer status. Today, the Islamic Republic of Pakistan became an Associate Member of CERN. This follows notification that Pakistan has ratified an agreement signed in December, granting that status to the country. Pakistan and CERN signed a Co-operation Agreement in 1994. The signature of several protocols followed this agreement, and Pakistan contributed to building the CMS and ATLAS experiments. Pakistan contributes today to the ALICE and CMS experiments. Pakistan is also involved in accelerator developments, making it an important partner for CERN. The Associate Membership of Pakistan will open a new era of cooperation that will strengthen the long-term partnership between CERN and the Pakistani scientific community. Associate Membership will allow Pakistan to participate in the governance of CERN, through attending the meetings of the CERN Council. Moreover, it will allow Pakistani scientists to become members of the CERN staff, and to participate in CERN’s training and career-development programmes. Finally, it will allow Pakistani industry to bid for CERN contracts, thus opening up opportunities for industrial collaboration in areas of advanced technology. CERN, home of the 27-kilometre Large Hadron Collider (LHC), is developing a new particle accelerator. just two metres long. The miniature linear accelerator (mini-Linac) is designed for use in hospitals for imaging and the treatment of cancer. It will consist of four modules, each 50cm long, the first of which has already been constructed. “With this first module we have validated all of the stages of construction and the concept in general”, says Serge Mathot of the CERN engineering department. Designing an accelerator for medical purposes presented a new technological challenge for the CERN team. “We knew the technology was within our reach after all those years we had spent developing Linac4,” says Maurizio Vretenar, coordinator of the mini-Linac project. Linac4, a larger accelerator designed to boost negative hydrogen ions to high energies, is scheduled to be connected to the CERN accelerator complex in 2020. The miniature accelerator is a radiofrequency quadrupole (RFQ), a component found at the start of all proton accelerator chains. RFQs are designed to produce high-intensity beams. The challenge for the mini-Linac was to double the operating frequency of the RFQ in order to shorten its length. This desired high frequency had never before been achieved. “Thanks to new beam dynamics and innovative ideas for the radiofrequency and mechanical aspects, we came up with an accelerator design that was much better adapted to the practical requirements of medical applications,” says Alessandra Lombardi, in charge of the design of the RFQ. The “mini-RFQ” can produce low-intensity beams, with no significant losses, of just a few microamps that are grouped at a frequency of 750 MHz. These specifications make the “mini-RFQ” a perfect injector for the new generation of high-frequency, compact linear accelerators used for the treatment of cancer with protons. And the potential applications go beyond hadron therapy. The accelerator’s small size and light weight mean that is can be set up in hospitals to produce radioactive isotopes for medical imaging. Producing isotopes on site solves the complicated issue of transporting radioactive materials and means that a wider range of isotopes can be produced. The “mini-RFQ” will also be capable of accelerating alpha particles for advanced radiotherapy. As the accelerator can be fairly easily transported, it could also be used for other purposes, such as the analysis of archaeological materials. CERN and Sri Lanka have formed a partnership with the aim of formalizing and broadening their cooperation. To this end, CERN Director General Rolf Heuer and Sri Lanka‘s Permanent Representative at the UN in Geneva, Ambassador Ravinatha Aryasinha, signed an Expression of Interest on Thursday 25 June 2015. This agreement will pave the way for international cooperation with Sri Lanka in order to enhance collaboration and scholarly exchanges with CERN and to expose students, university scientists, engineers, and research institutes from Sri Lanka to cutting edge technology and research in the field of high-energy physics. This agreement incorporates Sri Lanka in CERN’s High School Teachers and Summer Student Programmes. It also aims at preparing a platform that will include scientists from Sri Lanka to participate in CERN’s cutting-edge research programmes. Several scientists from Sri Lankan universities have participated in LHC experiments within the frameworks of sabbatical leaves or similar, whereas others have participated as visiting scientist employed by universities in third countries. In order to allow for a broader and more sustained participation, discussions have started in order to form a “cluster” of Sri Lankan Universities and research institutes with the aim of joining one of the LHC collaborations. 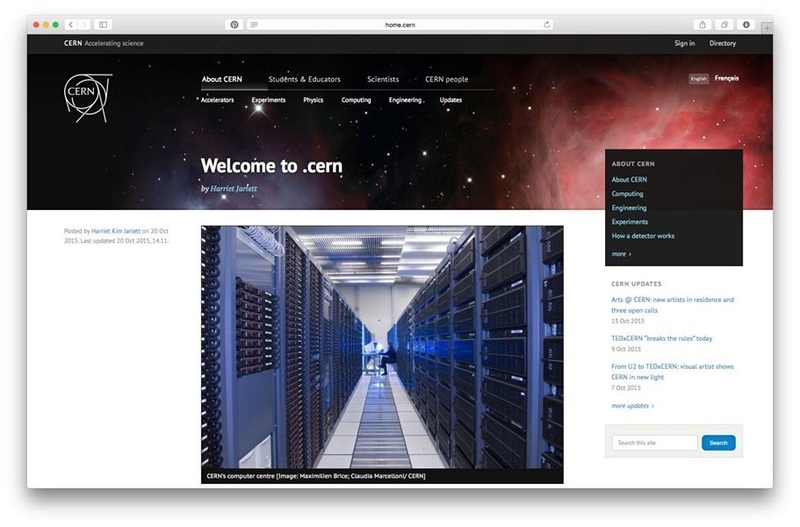 Sri Lanka is the most recent Asian Country to have strengthened its partnership with CERN. Other countries include those as diverse as Bangladesh, Thailand, Indonesia and Mongolia.